Alimony in Wyoming may be permanent, temporary, rehabilitative, or paid in a lump-sum. Permanent alimony is awarded in rare circumstances, such as when a spouse has a lifelong disability. Temporary alimony is paid for a specific amount of time to allow a dependent spouse to reestablish herself in the workforce. Rehabilitative alimony may include funds for a dependent spouse's education so that she can become self-sufficient. Alternatively, a judge may award a lump-sum alimony payment. This will avoid the hassle of collecting monthly payments, but it can have tax disadvantages for the spouse receiving the payment. Judges in Wyoming consider several factors when deciding alimony requests. The length of the marriage, dependency of a spouse and income levels are all considered. If one spouse faces a significant drop in the couple's accustomed lifestyle, she is more likely to receive alimony. Stay-at-home spouses are more likely to receive alimony than career spouses. The income of the paying spouse is also considered. Alimony generally is not awarded if it creates severe, financial stress on the paying party. However, during a pending divorce, the court may require either party to pay a necessary sum to enable the other part to carry on or defend the action as well as order support before the final judgment is made. Wyoming law recognizes that a change in circumstances can impact the fairness of alimony. For example, if a receiving spouse remarries or obtains a live-in partner, alimony generally ends. If the receiving spouse's financial conditions substantially improve after the divorce, alimony may also be terminated. The paying spouse's circumstances are also considered. For example, if the paying spouse retires or loses his job, alimony may be terminated. The court may also consider other specific events when deciding to terminate alimony, such as when the receiving spouse refuses to work or doesn't make an effort to improve her circumstances. To request a revision of an alimony award, a party must petition the court. If a party fails to make payments, a judge may garnish wages, bank accounts or seize property to satisfy those missed payments. 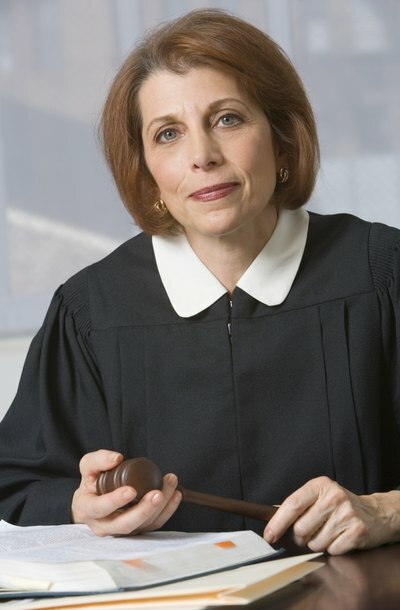 A judge may also hold a party in contempt of court for failing to meet alimony obligations. A court continues to have discretion to revise alimony orders after a divorce in the interests of justice. Alimony, known as spousal maintenance in Arizona, often becomes a disputed legal issue when a couple ends a marriage. Spousal support can affect both spouses' finances after divorce. One spouse may worry about not receiving enough alimony, while the other spouse might fear the court will require too much alimony. In Arizona, state law establishes a list of factors to determine whether a spouse qualifies to receive spousal maintenance.